Is your vehicle stuck on the side of a road? A car never dies when it is convenient for you! 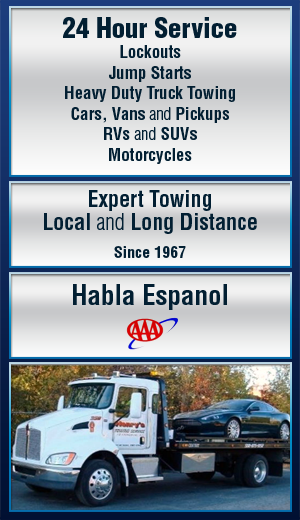 Chances are you need the help of a dependable towing service and quick. Look no further than Henry’s Towing Service. Whether you need a jumpstart, tire change or lockout service, just give us a quick call and we will get you fixed and back on the road or will tow your car back to the shop for repair. We have been helping folks in Framingham and the surrounding communities get their vehicles going again for over 40 years. Call Henry’s at 508-875-9152 when you need a vehicle towed any time of the day or night.